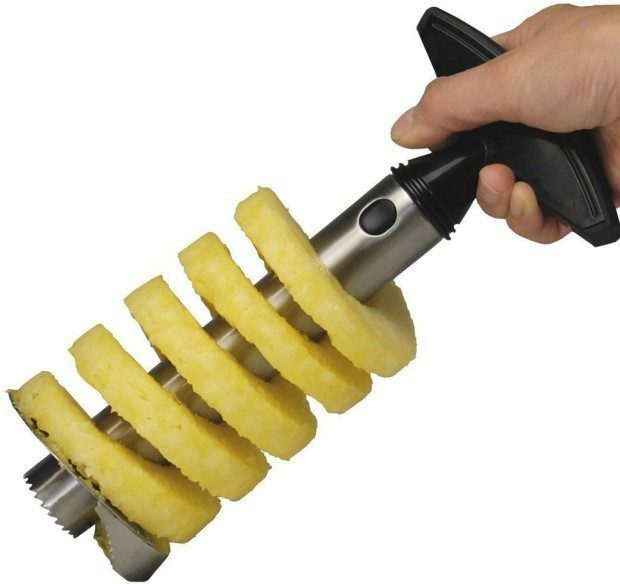 Pineapple Corer Slicer Peeler Cuttter Only $3.97 Shipped! You are here: Home / Great Deals / Amazon Deals / Pineapple Corer Slicer Peeler Cuttter Only $3.97 Shipped! While I generally don’t like single use kitchen tools, but this price I’ll make an exception! The Pineapple Corer Slicer Peeler Cuttter is Only $3.97 plus FREE Shipping! As much as I love pineapple, this is going to get a lot of use!